Canelo Digital Publishing Limited is delighted to announce a number of exciting new authors and books that we have recently acquired. Crisis Point is the first book in a pulse-raising new espionage thriller series following Sam Driver, a CIA operative that has been captured, betrayed and disavowed by her own country. This high-octane spy story is perfect for fans of Lee Child. Clarke’s fantastic debut – Death and the Harlot – is a gripping 18th century mystery full of unexpected twists starring the powerhouse prostitute turned detective, Lizzie Hardwicke. 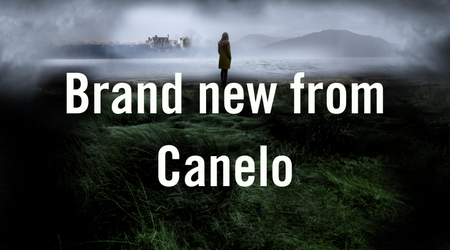 In Clare’s Canelo debut, Elizabeth Morton and Michael Winterbourne suffer terrible personal tragedy that propels them on an ocean voyage that will forever change their lives. Emotional and complex, A Greater World is perfect for fans of Anna Jacobs. Set in Constantinople in the early years of the 20th century, A Tale of Two Sisters - Merryn Allingham's Canelo debut - is an emotional story of loss, love and mystery in a far away land perfect for fans of Dinah Jefferies and Rachel Hore.